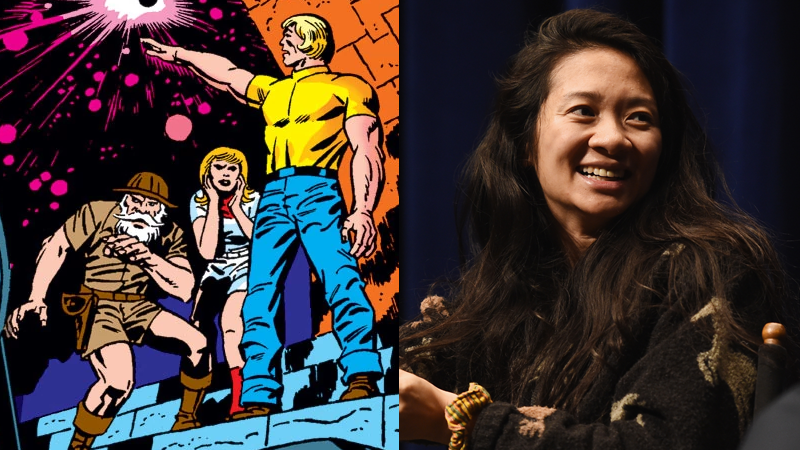 Marvel’s been teasing its plans to bring Jack Kirby’s weird and wonderful cosmic-powered characters to the big screen for a while, but those plans just took a huge step forward: The Rider director Chloé Zhao has signed on to bring The Eternals to the big screen. Both the Hollywood Reporter and Variety are reporting that Zhao will direct a script penned by Matthew and Ryan Firpo, known for their 2017 Black List spec script Ruin. Zhao had apparently been in the running to direct the Black Widow solo movie, before Cate Shortland got the gig. We’ve reached out to Marvel for a comment on Zhao’s hiring, and will update this post if we hear back. When Gods Walk the Earth!